Microsoft Acquires Skype In $8.5 Billion Deal. Posted on 23rd May 2011 at 10:31. The deal had long been a subject of rumour and speculation, but it was finally concluded last week. The surprise wasn’t so much that the deal had eventually been struck, more the price that was paid to conclude the deal. Microsoft bought the VoIP giant, Skype, for $8.5 billion in cash, ending speculation that Facebook was set to purchase the company. Now, the obvious question that springs to mind is why? What makes Skype such an attractive proposition, and is it really worth that much? Microsoft apparently thinks so, and has put its money where its mouth is. So here’s the deal: Skype currently has a user base of 663 million, 145 million of which use Skype monthly according to company figures. Microsoft maintains that this figure should be nearer 170 million. The rub, unfortunately, is that only 8.8 million users are actually paid subscribers. Moreover, Skype isn’t yet profitable: despite revenues that totalled $860 million last year, and operating profits of $264 million, the VoIP giant still lost $6.9 million dollars according to documents filed with the Securities and Exchange Commissioners. So where’s the value in this for Microsoft? I guess the obvious answer is in the number of subscribers and the new market that this opens up for Microsoft. 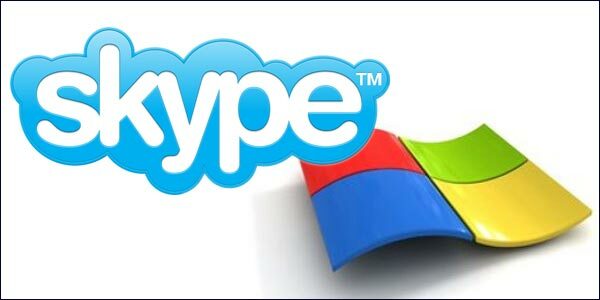 The company has already announced that it intends to integrate Skype into Microsoft devices and systems like Xbox and Kinect, Xbox Live, the Windows Phone, Lync and Outlook. The company has additionally pledged to continue supporting and developing Skype clients on non-Microsoft platforms. So who got the best end of deal, Skype investors or Steve Ballmer, Microsoft’s CEO? Only time will tell in the end, but for the time being Skype investors like Silver Lake, Index Ventures, Andreessen Horowitz and the Canadian Pension Plan Investment Board (CPP) will be smiling all the way to the bank. After all, they did acquire the business from eBay for only $2.75 billion in September, 2009: for a company that makes a net loss, that’s one might fine return on their investment. As for Microsoft, well it remains to be seen whether there’s any added value in the deal. Watch this space as the saga unfolds. Traditional Versus Internet Marketing – Which Offers Better Value For Money?Tasteless Jokes Or Not Delivering On A Promise – Which Can Harm Your Business Most? When it comes to search engine optimisation, the only platform most marketers tend to focus on is Google….